I love our library! They offer so many things there. Mica's been helping them stock books and with their Read to a Dog program. It gets kids reading, and dogs love attention! Mica and a friend took a Babysitting Clinic at the library earlier in July. I think they were the only boys, but they learned how to change diapers, first aid, what to charge, what to do in emergencies and so on. Both boys seemed happy when I picked them up, so they must of had fun. 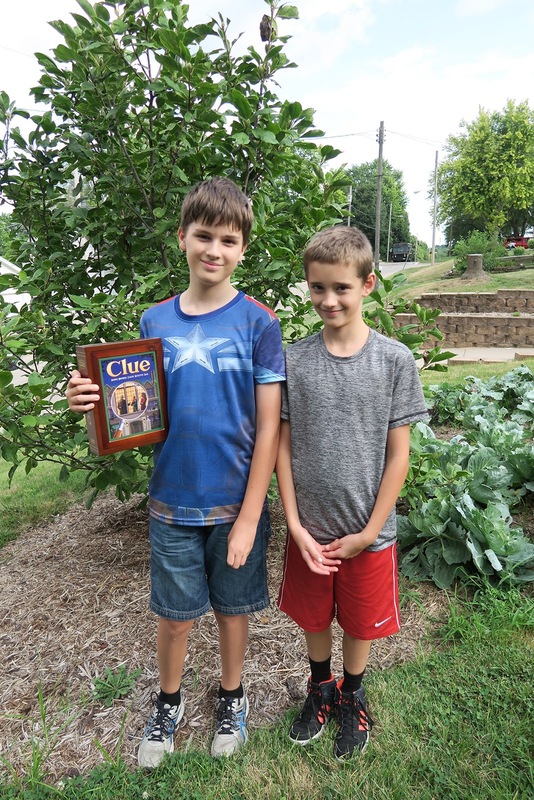 Last weekend Isaak and Mica had a Clue Lock-In at the library. All the Librarians were dressed up like people from the game/movie. They had clues in each room to solve a mystery. It looked fun to me! All their classes, clinics and lock-ins are free. I make sure to thank our Librarian's. 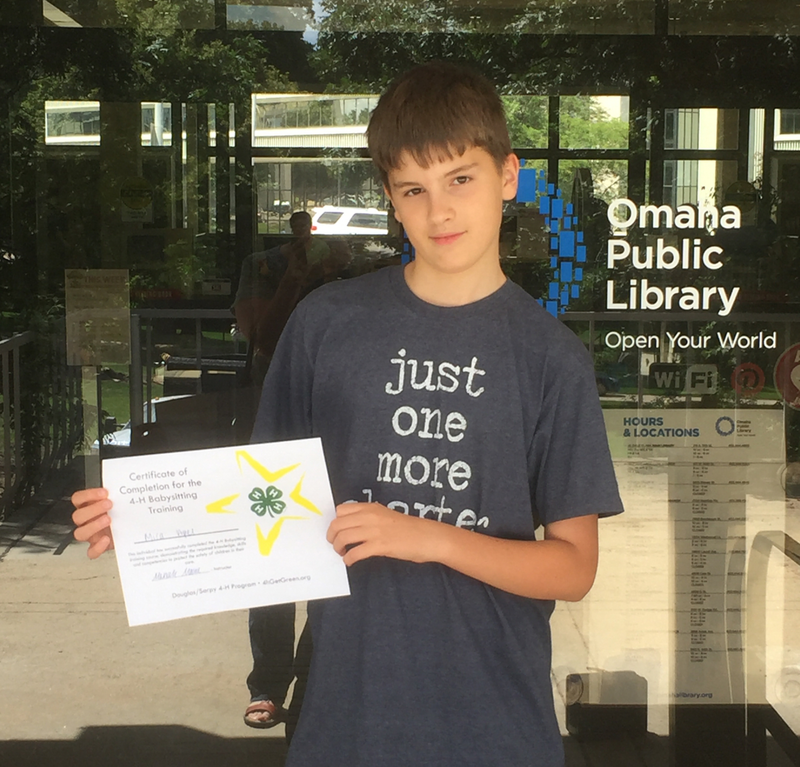 They have coding classes, Lego classes, story time, and a ton of classes for adults too. I would enjoy that game in the library - love the board game, movie, I love Clue! Bravooo..it's not easy to be a great baby sitter but you will! Awww, they are most handsome. Libraries are great places to visit. Libraries are awesome. They are so full of resources for people of all ages. I loved this pic! Library's are a amazing resource for kids and adults,congratulations on the accomplishment!! Have a great week! That's awesome that your library offers so much. Ours does too, but usually only activities for the little ones so my girls haven't participated in ages. Clue lock in sounds awesome! What a great opportunity for your boys. They definitely sound like they're doing their community service. You must be very proud of them. A wonderful place to do community service. Libraries are so wonderful. What a great library! I would have loved to do that Clue Lock-In. Must have been a blast! I love it! Our library system has so many options, we could never do all the cool things they have going on, but I have been taking my 2 yr old to toddler time, and there's a robotics/engineering school that is offering free classes to library card holders for kids ages 8 to 18. I really want to get my littles signed up for that. The babysitting thing sounds epic! I totally need to suggest the clue thing. I think they would do it. Libraries are the best! We use ours all the time.